Snapshot Sunday – Black Cat? 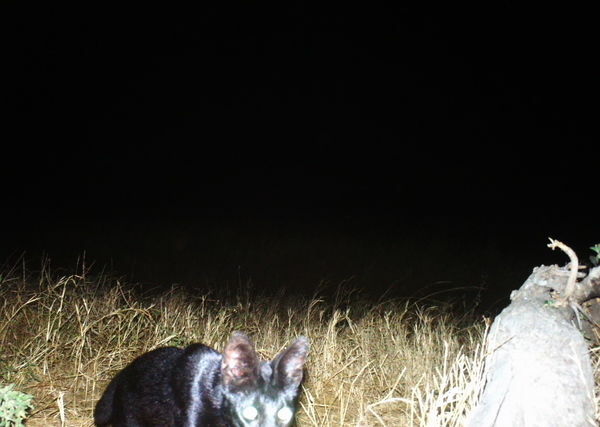 Check out this image from Season 7 of Snapshot Serengeti of what looks like a black house cat. It’s actually a serval with melanism (the opposite of albanism). You can see what they normally look like here. Next Next post: Collect Notes from Nature badges!